Batten down the hatches! Heavy winds and rain for the next 3 or 4 days. Today was a wipe-out. Rain and more rain all day. yet tonight the moon is out, but for how long. Sure hope the weather forecast is WRONG. Guess we will get wet tomorrow. If the predicted wins hold true some boats will have to be moved either out or to a safer mooring. Every day is different. It’s hard to keep up with all the work that has to be done. Warm days, cold days, rainy days and changing weather days. Took this post video yesterday between rain showers. http://youtu.be/sZZi8EIpHeU. It’s warmer than yesterday I didn’t have to scrape the ice off the car windows this morning,that’s a plus but it is mega damp and rainy. On the bright side its a good day to get caught up on that neglected paper work. This rain and wind will definitely bring down more leaves. I a firm believer in mulching the leaves with the last grass cut of the season. This is a perfect way to fertilize the lawns environmentally without any chemicals. Most of the planters have been cleaned and the plants put into the compost heap. Next we will add composted material from several years ago and churn it into the soil in preparation for next year’s planting. Most of the cottages are well on their way to being cleaned and stripped for the winter. The laundry room is particularly busy at this time of year. Most of the resort boats have been fogged, serviced and cleaned and put to bed till next spring. The marina is a busy place this time of year. Now it’s time to put on a couple of CD’s and get to work. Our season has come to an end and we are already prepairing for nest year. That’s right, today we start shutting the cottages down for the winter. The pools are checked and serviced, water pumps are cleaned and stored. The shutdown takes well over a month to complete. We’re here and like most folks we are starting to get ready for winter, gardens are cleaned,at least one more grass cut when all the leaves are down to mulch them into compost. The plow has to come out of storage and serviced before the snow flies. The boats have to come out of the water cleaned and stored all the motors have to be fogged, fixed if required, and stored for next year. Docks are moved to their winter location. On and on till everything is done in preparation for next spring. We had our first frost yesterday and the begonias look pretty sad but in preparation for that inevitable occurrence many plants were moved in doors but not all, some of the more hardy ones were covered and will be moved inside shortly when we can make some room for them (find some more space is more like it, we seem to get more every year). Plans include attending some trade shows again this year London is a go and there will be one in the States but we have not made up our minds which one yet. 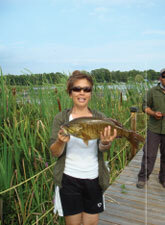 The Spring Fishing Show in Toronto and possibly the one in Carp just outside Ottawa are most likely. When we get the rest firmed up we will post them. We would like to thank all our guests for their support and hope to see you again next year. I plan to post some pictures just to let folks see what changes happen here over winter. Winter can be beautiful here, but they can be trying especially if there is a lot of snow. We are thankful for each and every day. We are thankful for where we live and the people that have crossed our path. We are thankful for all we have received and blessed for what we can give. 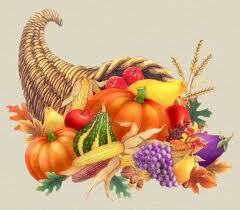 Everyone here at High land View Resort wishes everyone a Happy Thanksgiving. We are truly blessed. The frost is now on the pumpkin we experienced our first frost last night. The roofs were frost covered. No ice yet but we are only fractions of a degree of the first thin layers on the pathways, boat tops and puddles. The race is now on to try and save some of our plants for next year. Sometimes I wish that I had a four seasons green house. The library, check-in area, store, and anywhere else with a little room will be transformed into an indoor botanical garden. 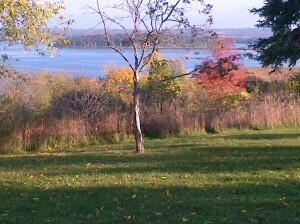 The trees are still holding their spectacular colors, but the wind is quickly stripping the trees bare. 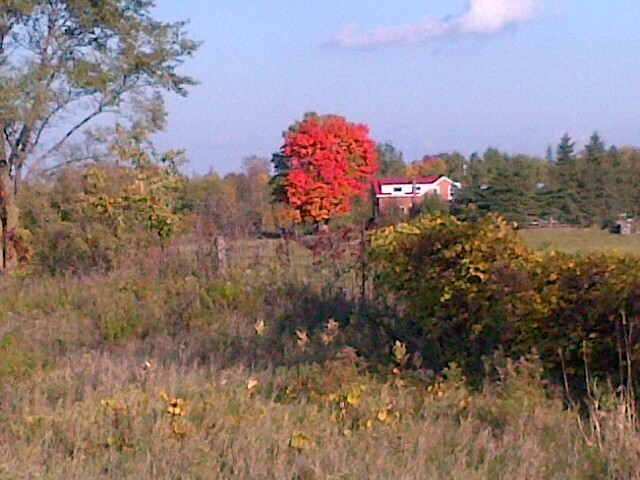 I can hardly believe it, just over night the trees have changed their colors. The brilliant scarlet, deep reds, vivid yellows and striking oranges all came out yesterday. Yes and the leaves have started to fall. The V shaped formation of geese are streaking across the late afternoon sky you can hear them before they come into sight. The black birds are flocking and nesting in the marshes. It’s a great time to spend quality time in the country. Just imagine a camp fire under the cool fall under a full moon. Priceless.